It’s a sunny but windy day here in the north west of England where I live and at this time of year there is much less to do in the garden, it’s more about preparing it for winter. Clean the greenhouse both inside and out and preferably my pots and trays too. This is in readiness to overwinter dahlias and some other fussy to plants. 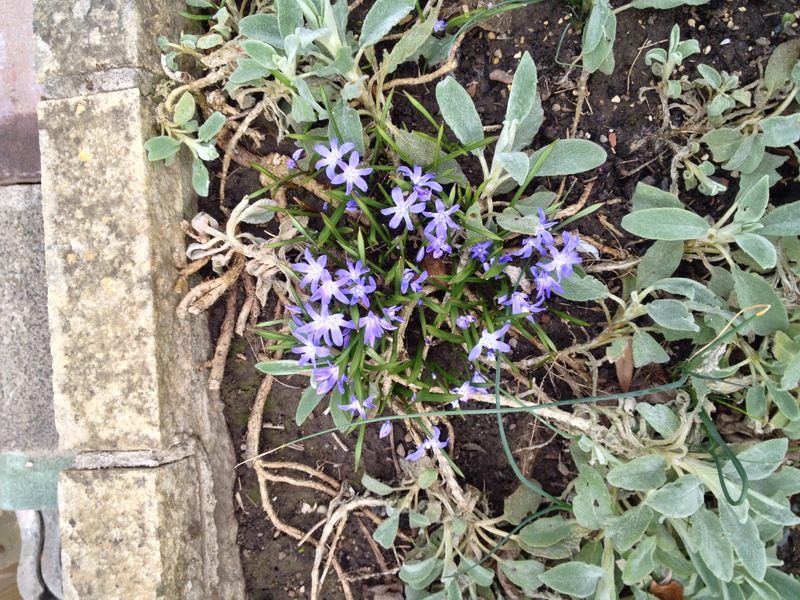 Finish tidying up perennials that have finished and get rid of annuals that have finished. You might like to do some of those jobs too! 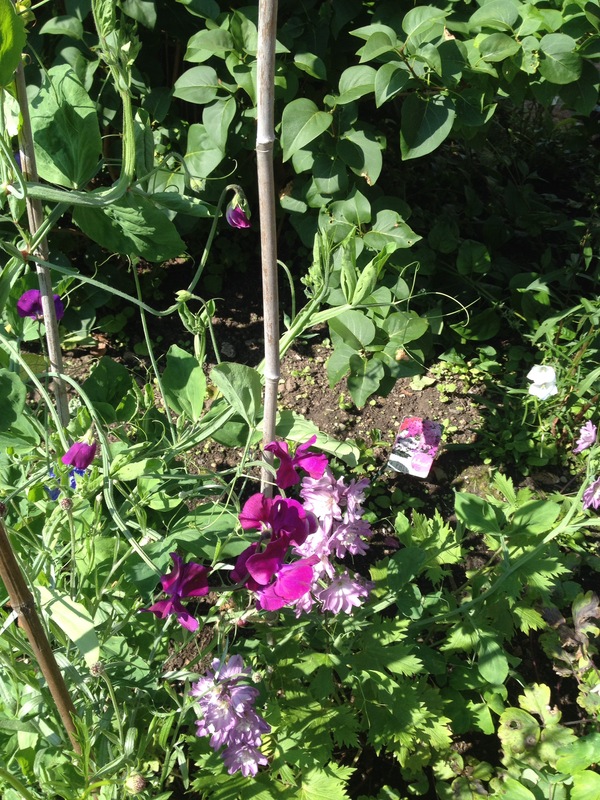 If you’ve been following my blog for a while you will know that I have grown sweet peas from seed again this year and rather than plant them in containers have planted them direct into the ground. Well, they haven’t really taken to the large canes they were given to grow up preferring to grow up any nearby plant – delphiniums or whatever else is to hand. I keep reattaching to the canes as I don’t want my other plans strangling! I think next year I will give them a proper structure to grow up – I didn’t really think I had space on the flower beds this year but I will find some. 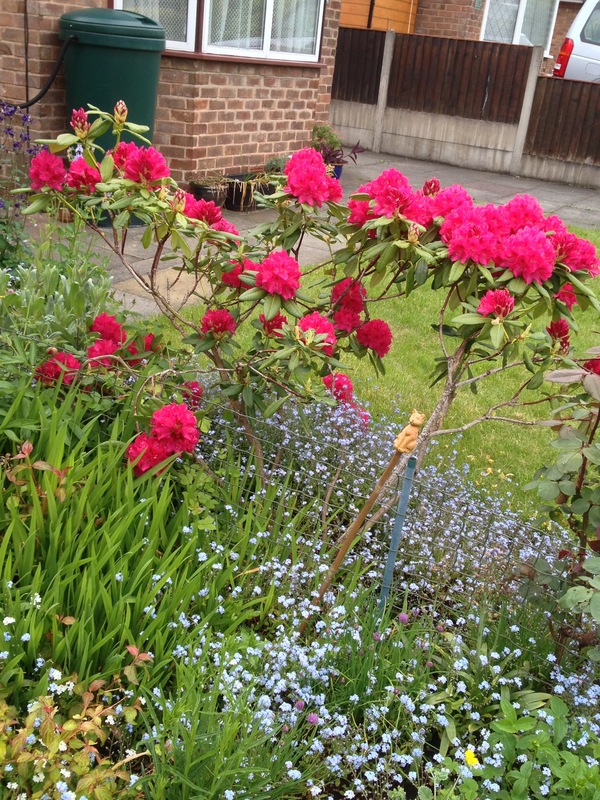 Anyway, I am pleased to report they are now flowering and smell amazing. I have included a picture, it’s only a shame you can’t smell them through the Internet too! The paler purple plant is the said delphinium they are trying to grow up. It’s very pretty too. So finally I get round to getting some pictures of whats currently flowering in my garden and actually I have quite a good choice so what I post this time is only a selection as I need to save some in case there is nothing new for next month. 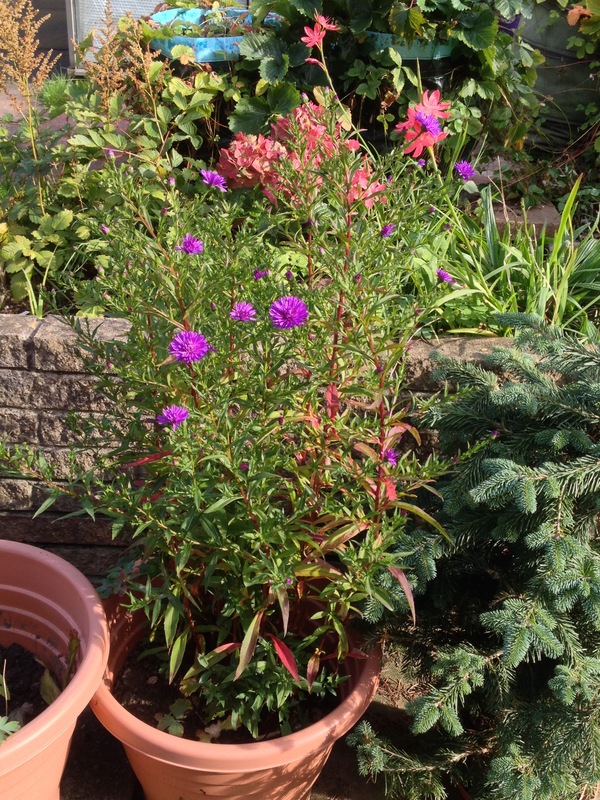 I have just planted out some little pink dianthus although the garden is so wet, but I bought them on Saturday and I don’t think they would understand if I tried to explain why they haven’t yet been planted so I’ve done it quickly and I’m sure its about to rain again any minute. I have also sown some white foxgloves in the greenhouse, the tiniest seeds I’ve ever seen so I imagine they will all grow in one compartment of the seed tray as I couldn’t easily separate them out. Last week I was watching RHS Hampton Court on TV and I would love to go one day, I loved a lot of the gardens but ‘concept’ gardens just aren’t for me. If they have to be explained then I just don’t see the point. 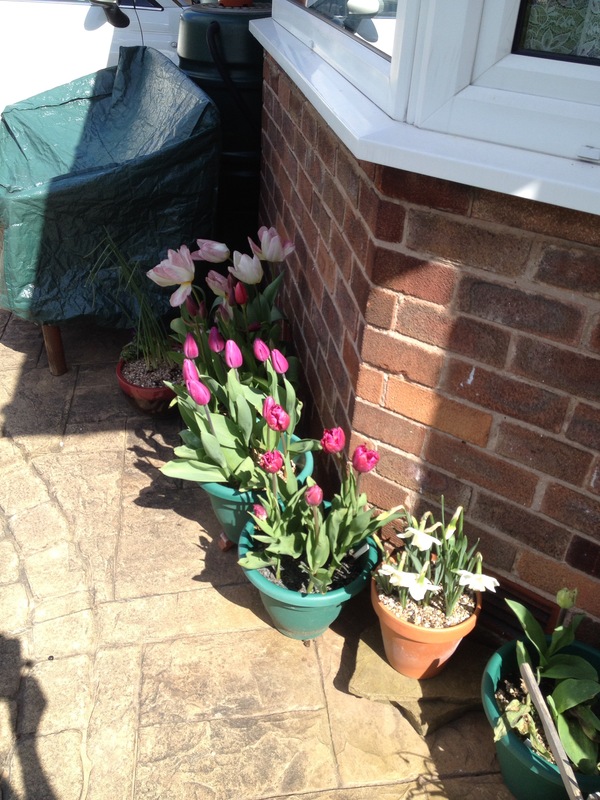 I am hoping to go the Tatton Park flower show next week weather permitting and if so I will likely post my pictures. So I leave you with a selection of flowers in garden at the moment, including 2 beautiful climbing roses which get better every year. The pink one also smells lovely wheras the red one, definitely my favourite sadly has no scent at all. 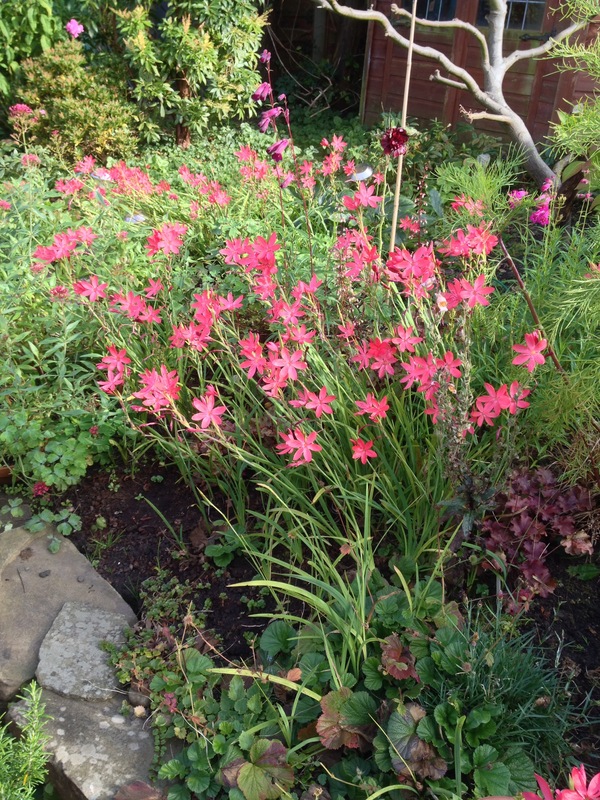 Also a lovely bright pink penstamen and some yellow lilies and the end of the red lilies. 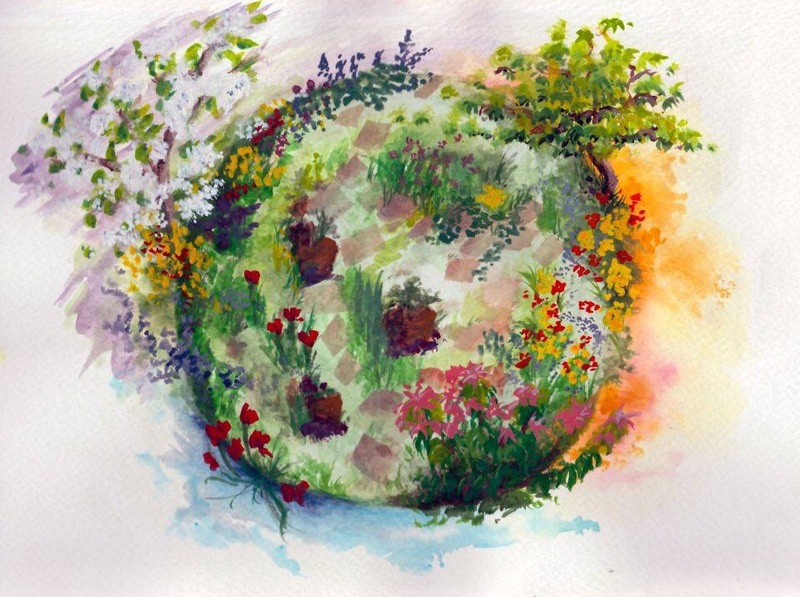 As promised I said I would share the painting my friend Suky has done taking her inspiration from my garden. I think it’s amazing, well done Suky! 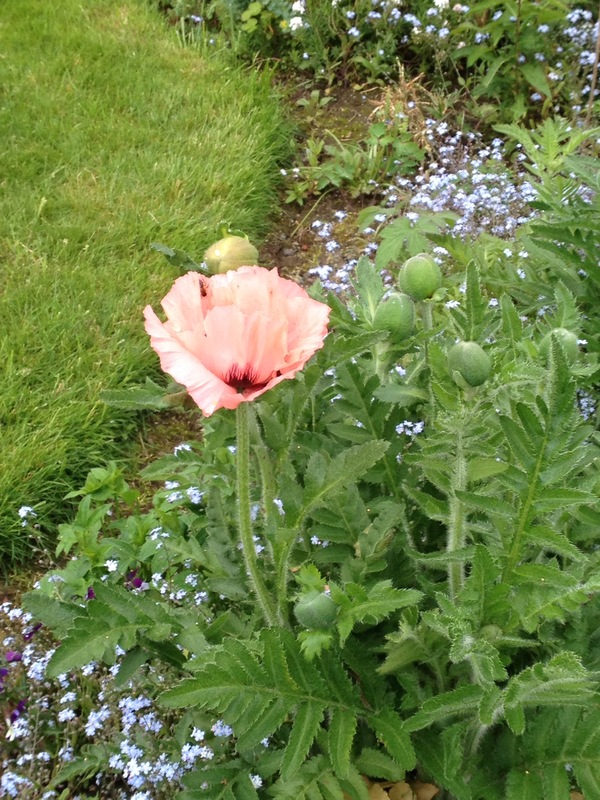 Just a quick blog to show what is newly flowering in my garden this week. 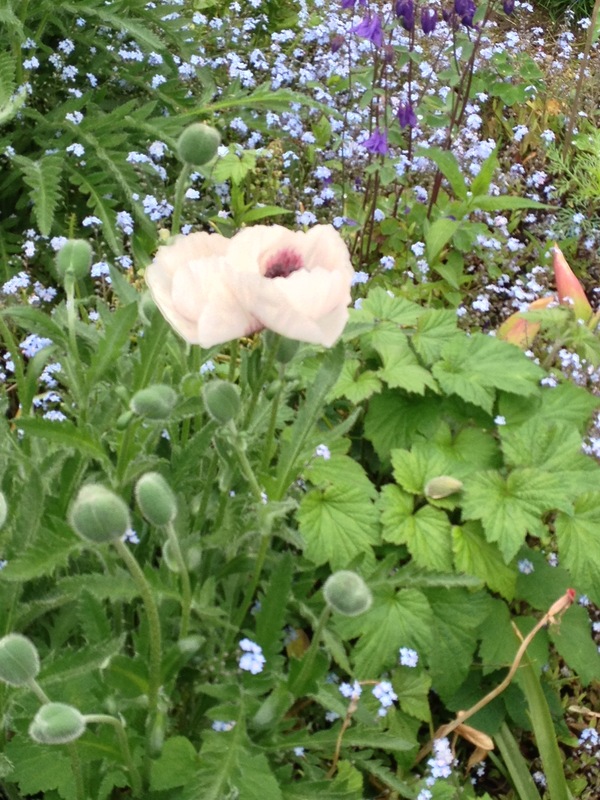 2 of my poppies which are one of my favourite of the cottage garden type plants, a lupin and an azalea. 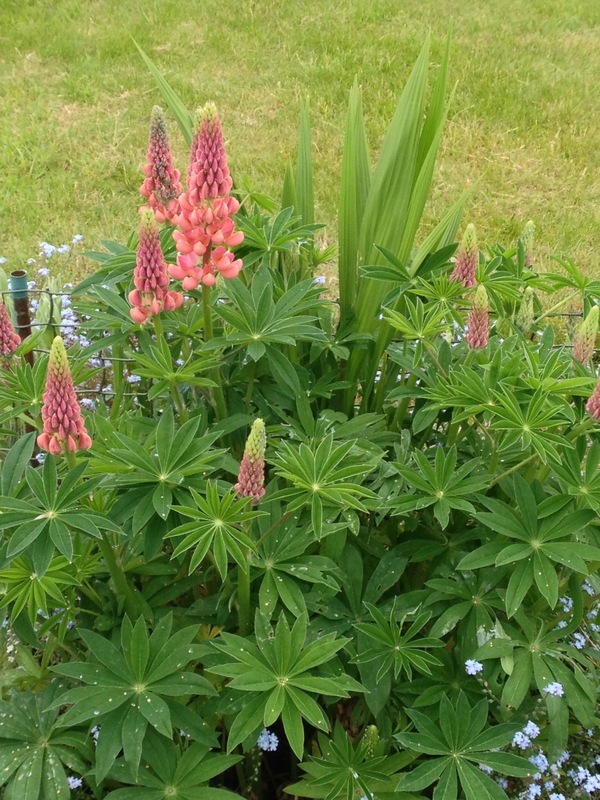 I do have a lupin in another part of the garden but it had been savaged by white fly! 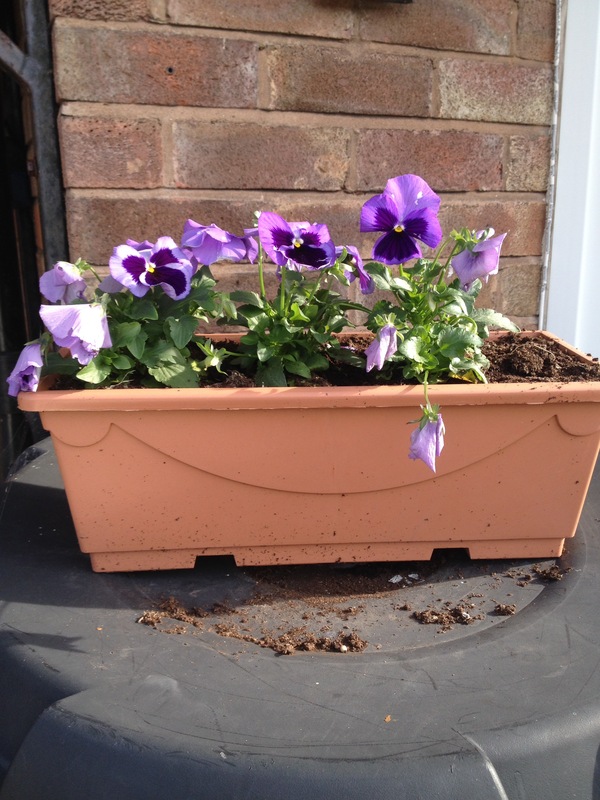 I have sprayed it and it looks happier but no flowers yet. I have moved the plants that were overwintering in the greenhouse outside this week including my lovely dark leaved dahlias, 4/5 have survived! Just some pictures for you now as explained above. Enjoy watching RHS Chelsea if you are watching. I would love to go one day! Today, we’ve been to Rode Hall in Stoke on Trent again to see the bluebells. It was a warm and sunny day today and so it was a lovely outing. 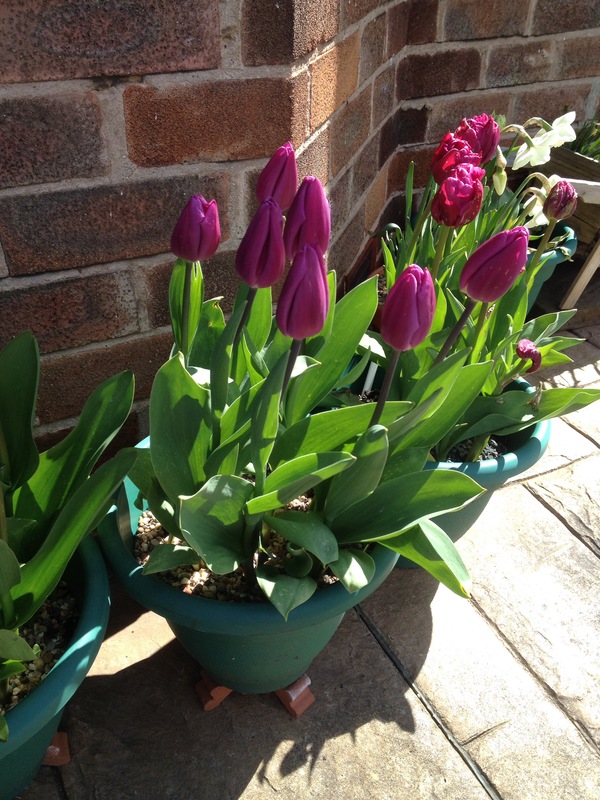 The bluebells are so pretty as are the tulips (one of my favourite bulbs) and daffodils. I hope you like my pictures mostly of bluebells but some of other pretty flowers too. Thank you for reading my post, please feel free to comment, share with friends or even subscribe so you don’t miss future posts. 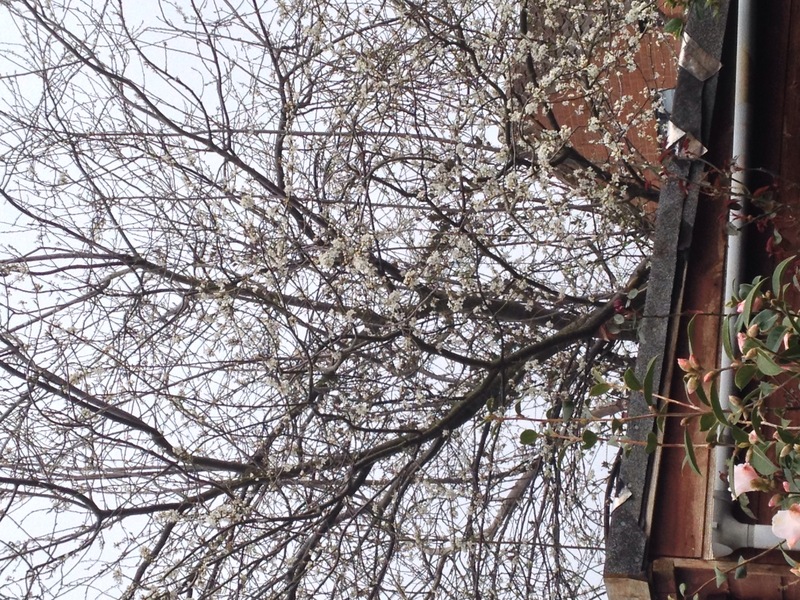 I start my blog once again with an apology, I had intended to write this post on bank holiday Monday but it was too cold and wet for any gardening so I did some decorating instead. I have just come in from spreading used coffee grounds on the garden. It is good for the soil and I had hoped a deterrent to slugs and cats, however, I found a slug on the stuff and cats are still messing in that area. Oh well, it smells good and I can’t drink caffeine so it’s my fix! We get a bag a week from a local supermarket. My seeds in the greenhouse are mostly coming on well with the exception of the cosmos who also didn’t fair too well in the propagator. I have sown some more this morning and not giving up just yet. 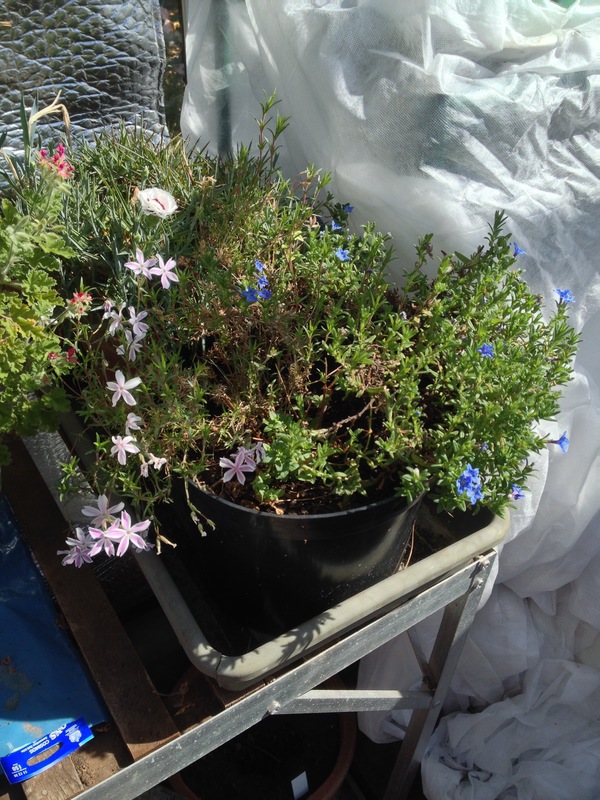 Today’s pictures are of 2 pots flowering in the greenhouse where they have been overwintering for months waiting for the last frost before they come out, maybe in the next few weeks. 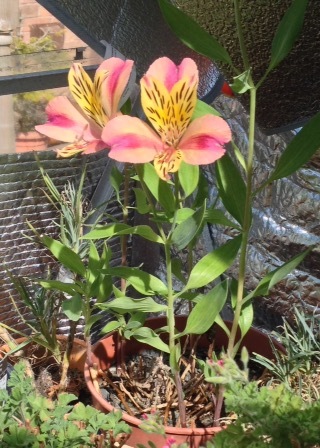 The first an alstroemeria that I got last year and the second gentian, a mini phlox and pelargonium not yet in flower. As I write this blog I can actually say it’s been dry all day so far with hardly a cloud in the sky, which certainly hasn’t been the case much here recently. 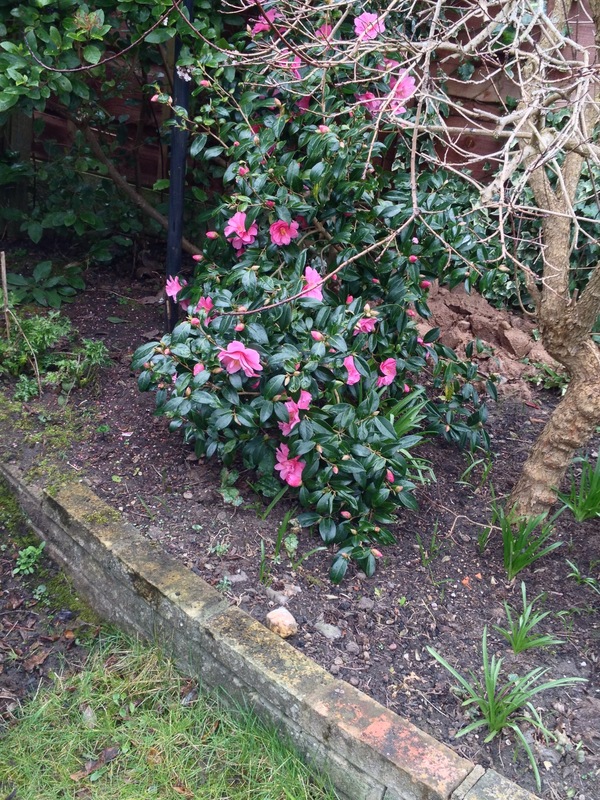 This morning I was gardening for my one customer – a neighbour across the road who struggles to bend down. I was tidying up and planting summer bulbs. This afternoon I have been sowing seeds in the greenhouse and spreading used coffee grounds around the garden. They are supposed to be good for the soul and I’m hoping might keep the neighbouring cat from messing on the ground! Here’s hoping…. 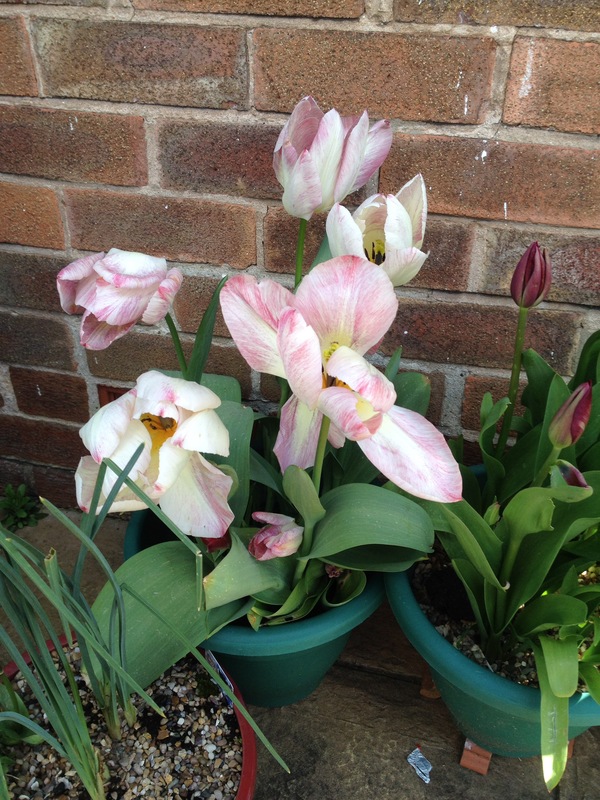 My tulip bulbs in pots are mostly doing really well. One pot has some that look like they’ve been eaten! But anyway some pictures to finish. 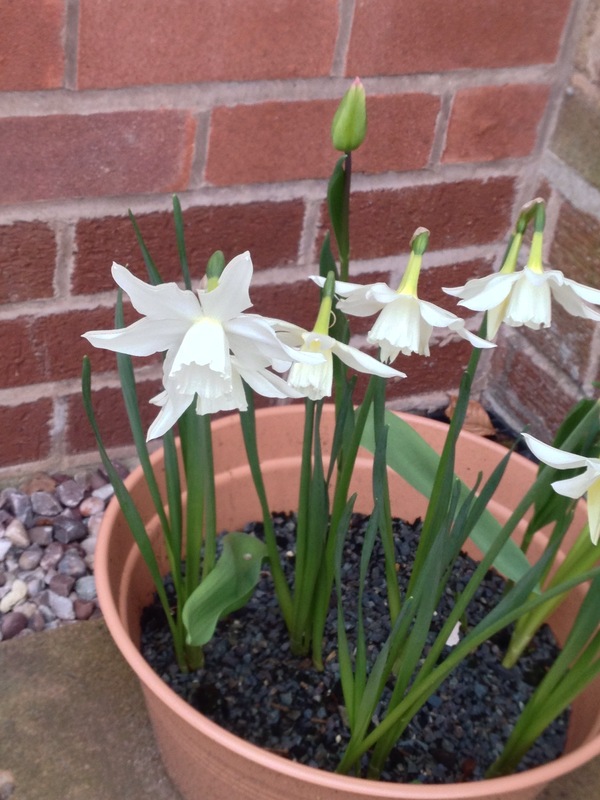 If anyone can please identify the daffodils I would be very grateful as I love them but don’t seem to have kept the label and would like to buy some more. So as I sit in the garage and wait for my car to have her MOT and hopefully pass I thought I’d write a little blog. Sadly I’ve not done much in the garden this week due to the weather. Although yesterday was a nice sunny spring day. I bought 3 little tomato plants this week. A beefmaster, 1 plum and 1 gardeners delight. They are in the porch for now as I’ve got white fly in the greenhouse. My neighbour says to grow basil or French marigolds in there to attract the white fly, so I might try that. 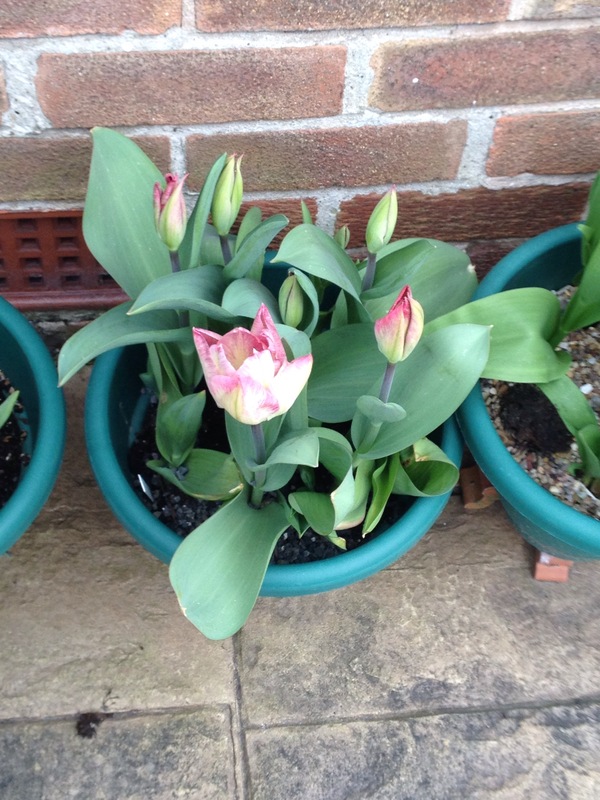 My first pot of tulips planted last year has started to flower. 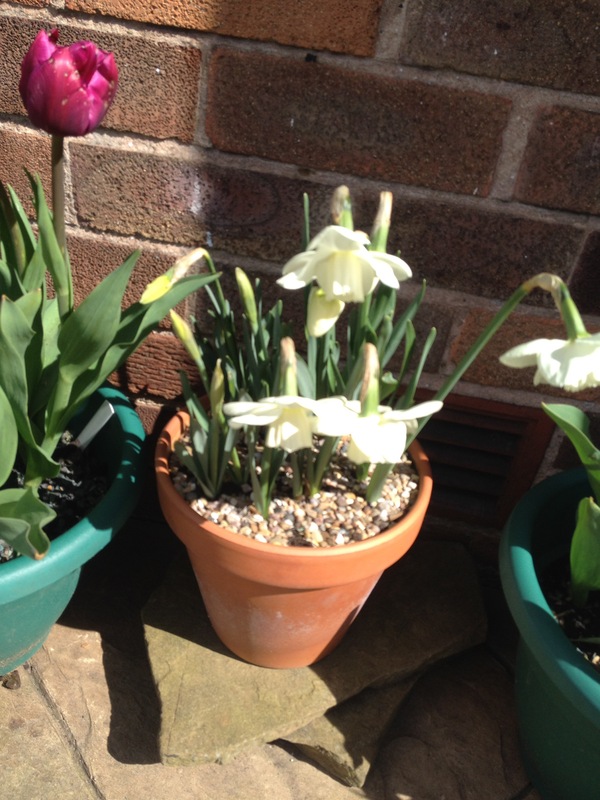 There is a picture below, however, I have no idea what they are called as although I carefully labelled all 5 pots the labels have completely faded and I can’t read them. Best laid plans is nice and men hey! Easter weekend is often a weekend filled with gardening here, however, not this year. I did a little weeding on Friday but certainly won’t be going outside today. Rain, thunder, lightning and it’s windy. Certainly not gardening weather! So, if you read my recent blog about my seed sowing in the propagator, I can tell you that all 12 sweet peas came up and have hit the roof of the propagator now. Not sure I wanted that many but I sowed them assuming they wouldn’t all come up!